Spiraling wages in addition to skilled labor shortages are becoming a problem for employers in the domestic oil and gas industry. Employers seeking to source, recruit, hire, and optimize contingent oil & gas industry jobs can do so quickly and efficiently through our contingent workforce management system and national network of staffing agency partners. 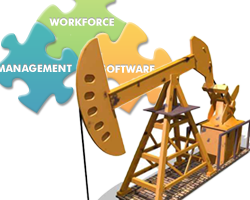 StayStaffed provides oil and gas companies cloud-based Vendor Management Services (VMS) and staffing solutions that save time and money. Cloud-based service means there are no costs to deploy - there is no investment in hardware or software, hosting or service fees. StayStaffed provides 24/7, 365 days of the year customer support with a dedicated Client Account Manager to every client. Contact us for a quick VMS demonstration and see how you can efficiently and cost effectively staff your oil and gas industry projects. One of the keys components to achieving the optimal benefits of a contingent workforce is to establish an enterprise-level oil and gas industry staffing solution which is supported by an easy-to-use, web-based Workforce Management System. Enable you to become an efficiently operated oil and gas industry company through the reduction and eventual elimination of overtime, non-productive downtime and oil and gas staffing shortages. Oil and gas software efficiently fills oil and gas industry jobs by assigning the right employees with the right skills to execute the right job at the right time. It can manage the complete contingent workforce lifecycle and provides key insights into how your oil and gas staffing is performing. for a free, no-obligation demonstration and see how workforce optimization can improve your company's performance.